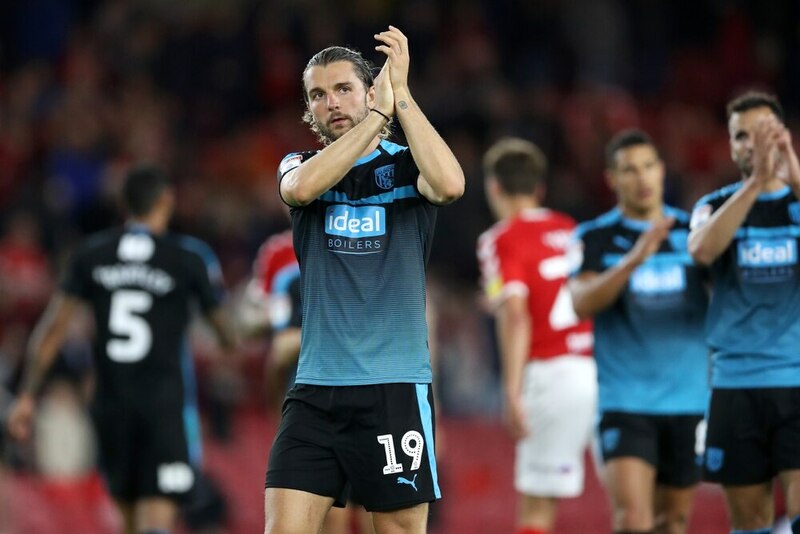 West Brom forward Jay Rodriguez has opened up on the FA investigation into his altercation with Brighton defender Gaetan Bong last season - in which he was accused of racial abuse. Rodriguez clashed with the Cameroonian international in January during Albion's 2-0 win over the Seagulls, with footage showing the pair arguing and bumping into each other, before Rodriguez held his nose and waved his hand as if to gesture Bong smells. A racial abuse charge was investigated and eventually found 'not proven' by an independent panel, and the former Southampton striker has admitted that it was a 'very difficult' time for him and his family when fighting the charge. "It was a difficult time, very difficult for myself and my family. I had to just keep myself focused on what I can affect, like I do with everything. The truth came out," Rodriguez told the national press. "Racism is a very serious issue, of course it is. If it was something I did then obviously you need to be fully punished. It’s a serious issue, not just in football but anywhere in life. "People should report it if they are abused, that is important, so obviously for me it was a big thing straight away. [But] I didn’t do anything wrong. "Obviously we were struggling at the time [with results] as well, so that didn’t help. It was just one of those situations where I had to sit tight and keep focused. "I’ve come through it and you always come [out] stronger. It’s one I will look back on in years to come and think of it as a tough time. "The support I received was overwhelming. I don’t take that for granted, I appreciate that every day. "I’ve got a great network, my wife, my family and friends, my team-mates, and team-mates from everywhere else who I’ve played with, and people in football. That meant a lot to me at the time and still does now." Rodriguez is now looking forward to helping Albion climb back into the Premier League, but accepts that the target will be a hard one to achieve - even if he believes that the top flight is where the club deserves to be. "It is going to be difficult but the main aim is promotion. I truly believe the Premier League is where we belong. We do look around the dressing room and think we shouldn’t have gone down,” he said. “It was a horrible season and one of frustration and disappointment. Football is ruthless at times, and we were on the wrong end of it, but hopefully we are trying to put it right. Rodriguez has enjoyed a strong start to the Championship season, scoring four goals in six games, including a brace of penalties in the 7-1 demolition of QPR in August. Albion face Birmingham City next, with a win able to lift them to third place ahead of the rest of the weekend's fixtures.